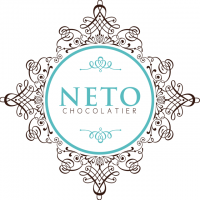 After more than a year of research, NETO Chocolate, a family owned business, came out with artisan chocolate products that are made of only natural and organic ingredients, with no preservatives or artificial flavorings, using European chocolatiers techniques. They have a unique Parve (vegan) line as well as dairy and gluten free products. They specialize in all kinds of events and have luxury specialty stores reselling their retail products. Their chocolates can also be purchased through their online store. Among their products are truffles and bonbons, French macarons, Chocolate mendiants, designed chocolate covered Oreos and lollipops and more.